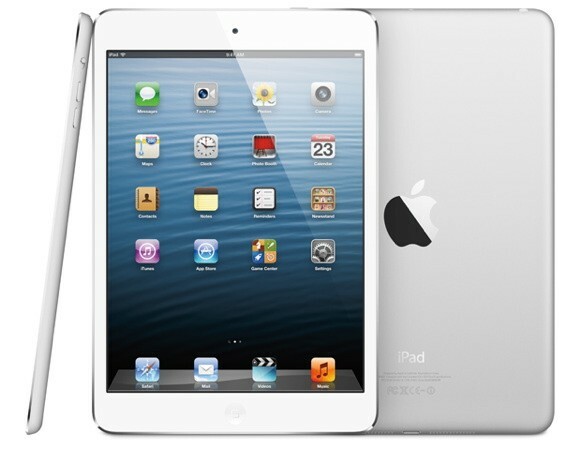 The Apple iPad mini is the first 7.9-inch tablet from the house of Apple. This is in contrast to what Steve Jobs said in mid-October 2010, "The 7-inch tablet died at birth. Manufacturers of these devices will learn the painful lesson and abandon them to spend the next year in larger, leaving the street consumers and developers." The iPad Mini has a 7.9-inch screen (LED-backlit display with IPS technology) with a resolution of 1024x768 pixels and a pixel density of 163 PPI. The resolution is the same as the iPad 2, so developers do not have to adapt their applications to the new product as there are already over 275,000 applications optimized for iPad mini. Apple revealed that a total of 35 billion apps have been downloaded, and this has distributed around $6.5 billion to developers from the Official Apple Store. The dimensions include a height of 200 mm, a width of 134.7 mm and a thickness of 7.2 mm. The Wi-Fi version weighs 308 grams, while the 3G version sports 312 grams. It is equipped with A5 processor powered by graphics core PowerVR SGX543MP2. It is probably equipped 1 GB of RAM (Apple has not announced yet). It sports a 1.2 MP, 720p capable front camera and a 5 MP rear camera. As far as storage capacity of the device is concerned, they have three models viz., 16 GB, 32 GB and 64 GB - all with different price tags ranging from $499 to $699. The lithium-polymer 16.3 watt-hour lithium battery offers up to 10 hours of Wi-Fi browsing and playback of video or audio. You can get up to 9 hours of surfing with a single charge. Recommended: [Gadget Comparison] iPad 3 vs iPad 2. Should one go for iPad 3? There has been a mixed response to the iPad mini, let’s see how it copes up with the present competition from Nexus, Kindle, Galaxy and other tabs out there in the market. Will iPad Mini also rock the market like the other i-series products? Share your views in the comments below. Price is cheap as compared to its features ..!! @mitul So, you think it's worth a try?